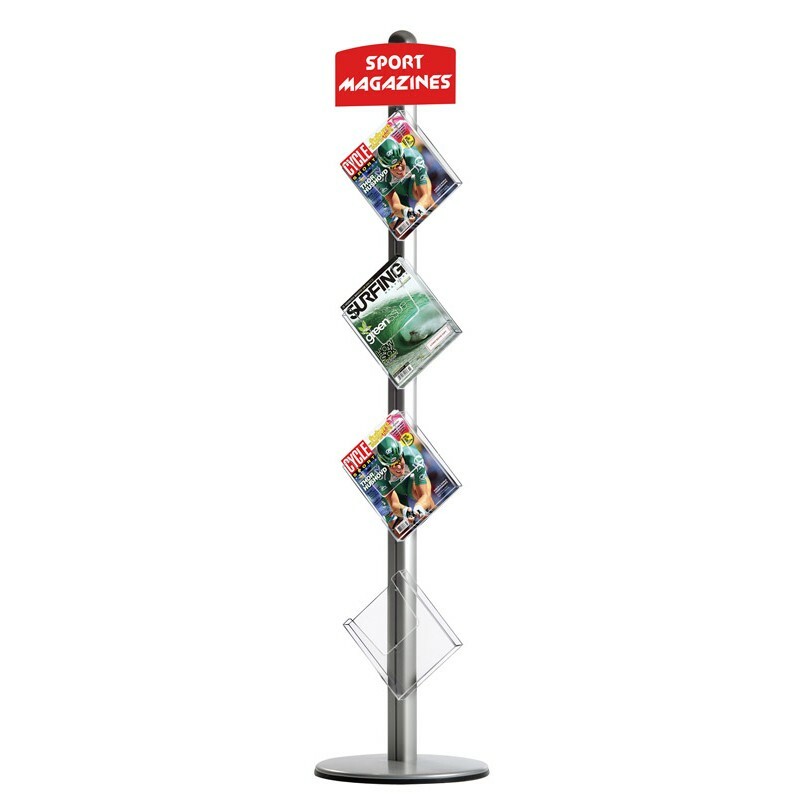 A simple, convenient and eye catching way to display leaflets, catalogues or brochures, this freestanding leaflet dispenser keeps your business space tidy and organised, and your promotional literature easily accessible. 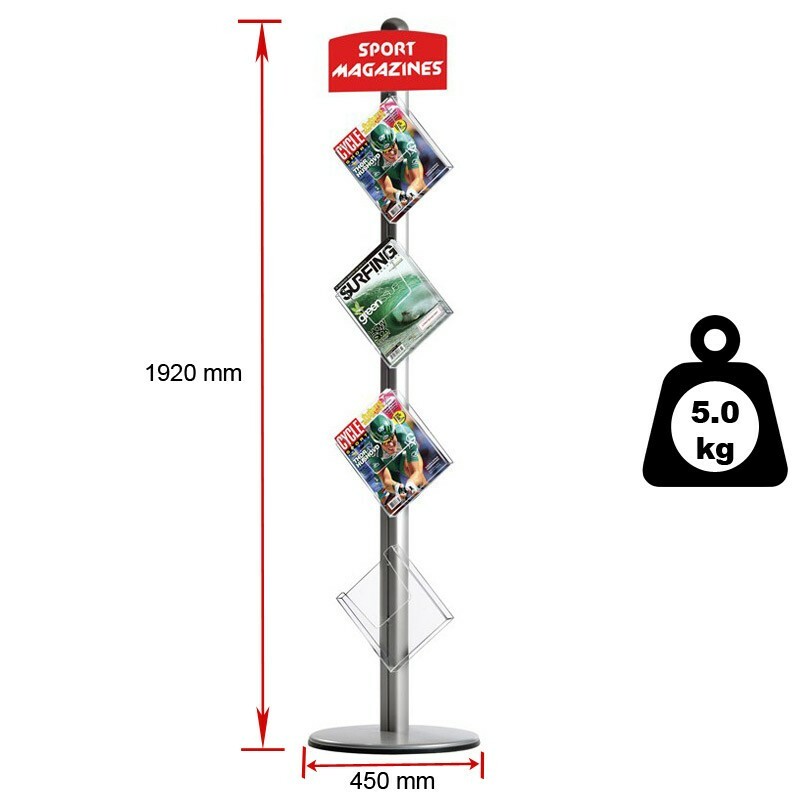 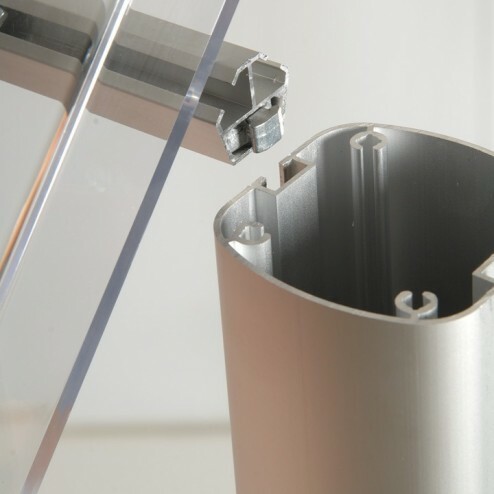 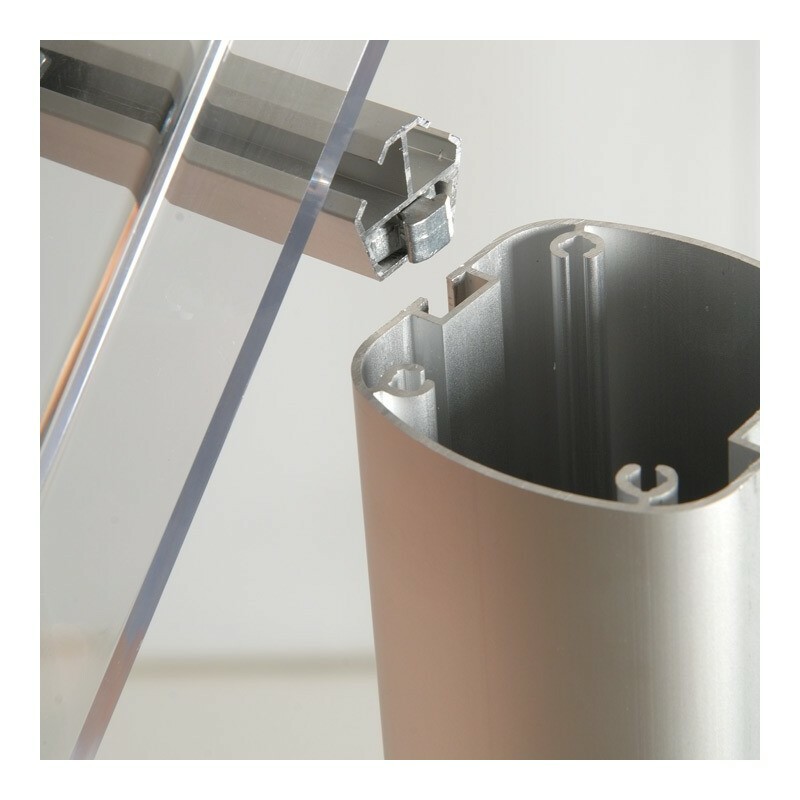 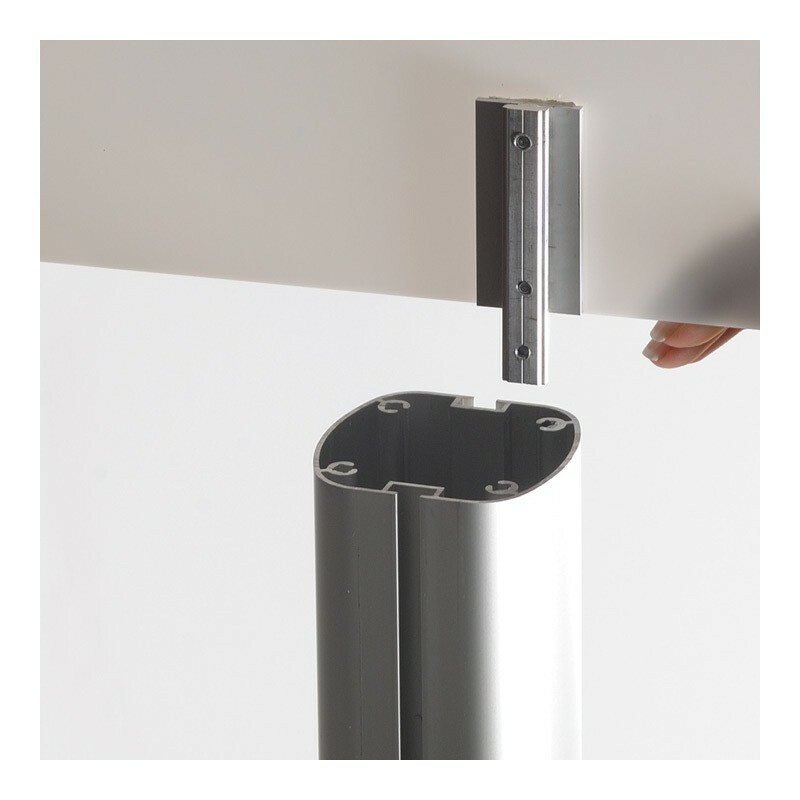 Made of sturdy aluminium, the literature holder stand has a floor standing pole which supports angled transparent acrylic pockets designed to hold A4 size leaflets. 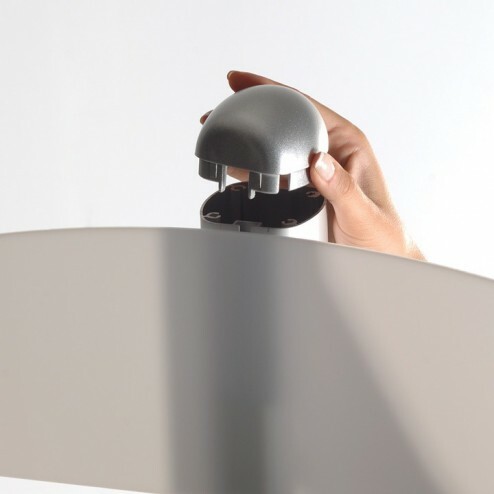 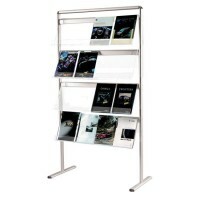 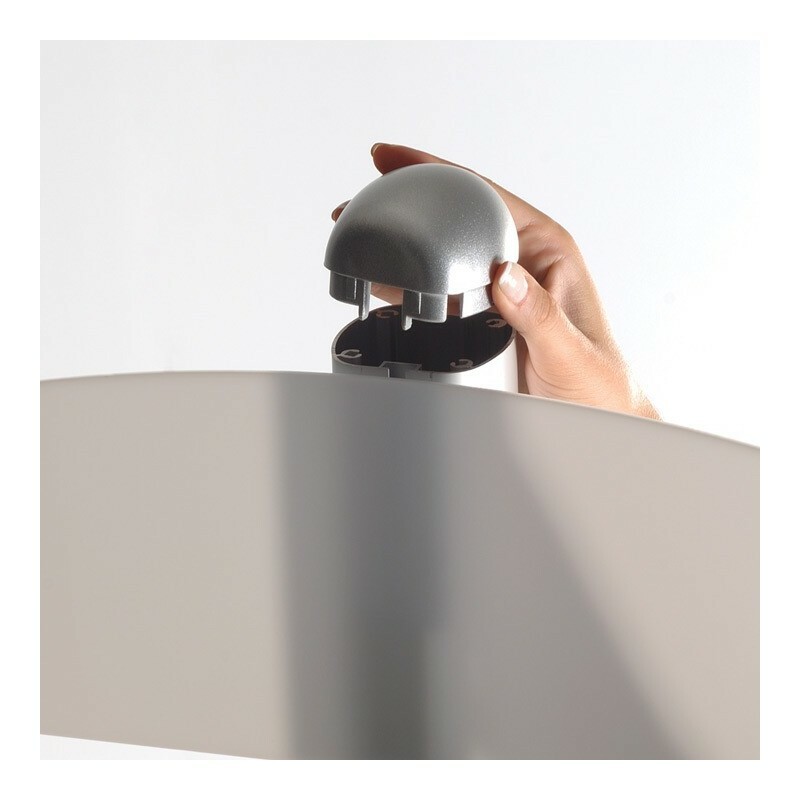 Ideal for arranging magazines in waiting rooms, keeping catalogues and price list documents easily available in showrooms or displaying brochures and leaflets in reception areas and lobbies, the adjustable display stand is available as either a single or double sided display tool, making it suitable for standing neatly in corners, or placing in areas where the brochures can be seen from both directions. 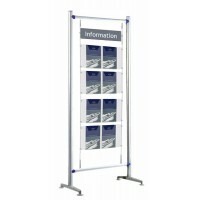 The single sided option features 4 leaflet dispensers, while the double sided design incorporates 8. 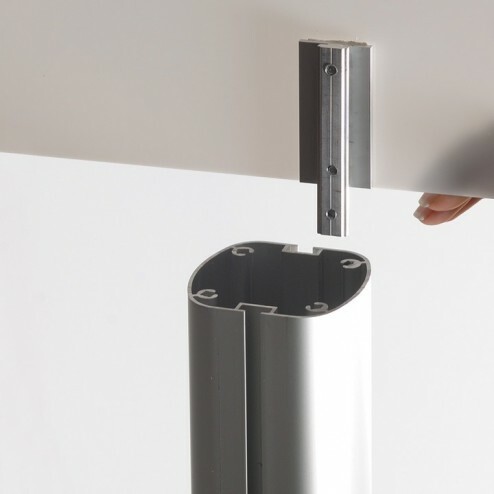 With a simple silver anodised aluminium pole and a compact round base, the multi-pocket literature rack has a wide range of uses and will blend in with any modern décor. Perfect for keeping your magazines, catalogues and leaflets tidy, organised and off desks and counters, the space saving rack holds the leaflets at an angle, keeping the contents easily visible and encouraging guests, visitors and clients to help themselves to the literature. 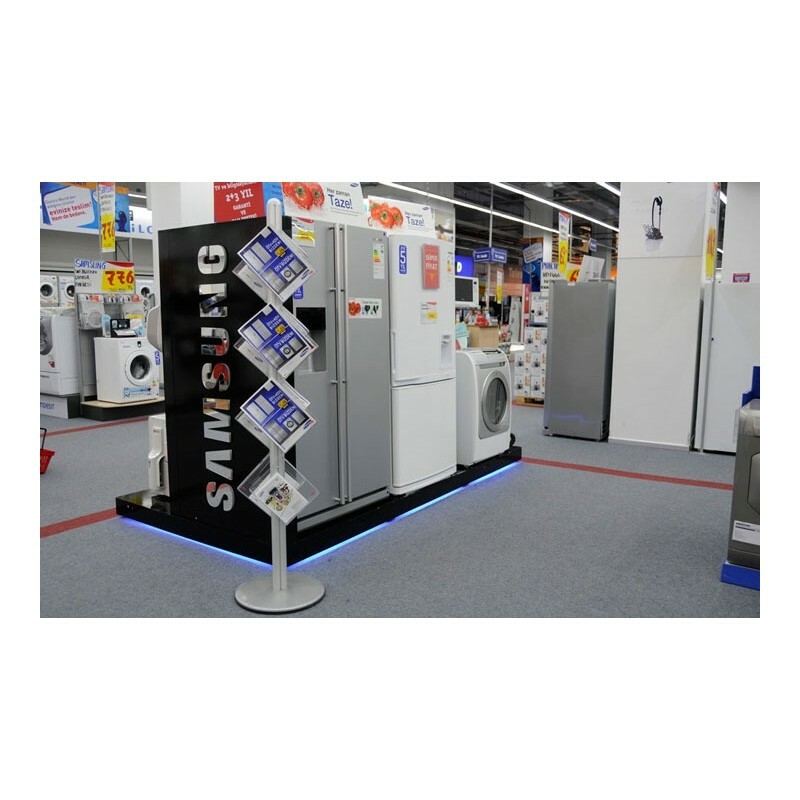 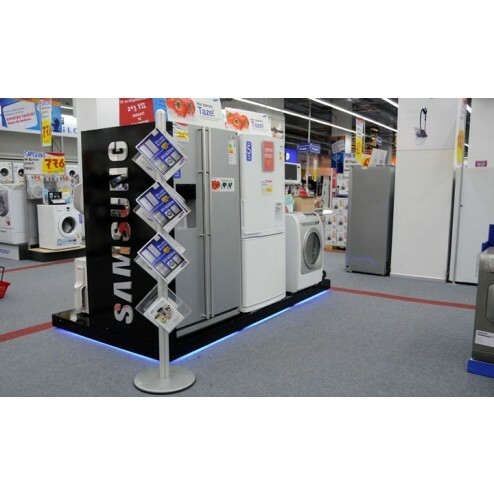 As a finishing touch, the versatile rack is supplied with a logo header panel to customise the display and clearly label the literature it’s holding. 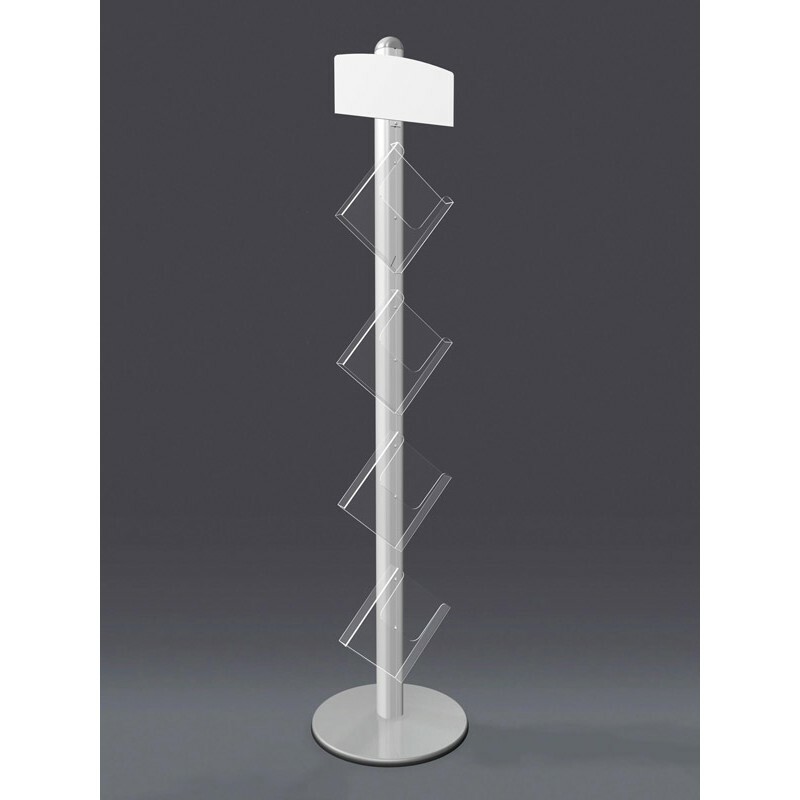 Simple and versatile, the freestanding rack is a great way to keep your catalogues, price lists and information sheets accessible to your customers, and can be easily repositioned as needed.